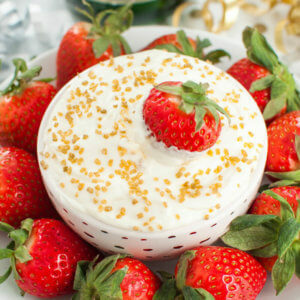 An easy dessert dip spiked with rum! 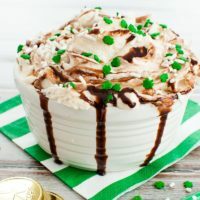 Celebrate Mardi Gras with this Bananas Foster Cheesecake Dip or serve as an adult treat at your next party. Since its creation, there have been a lot of twists on the traditional dish. I recently had Bananas Foster french toast and let me tell you, it was absolutely amazing! No need for syrup. The chef even flambeed the dish table side! Now I didn’t flambe this dip, but I still think it is a tasty twist on such a classic treat. I’ve been thinking about this dip for a while, but just hadn’t got around to making it. 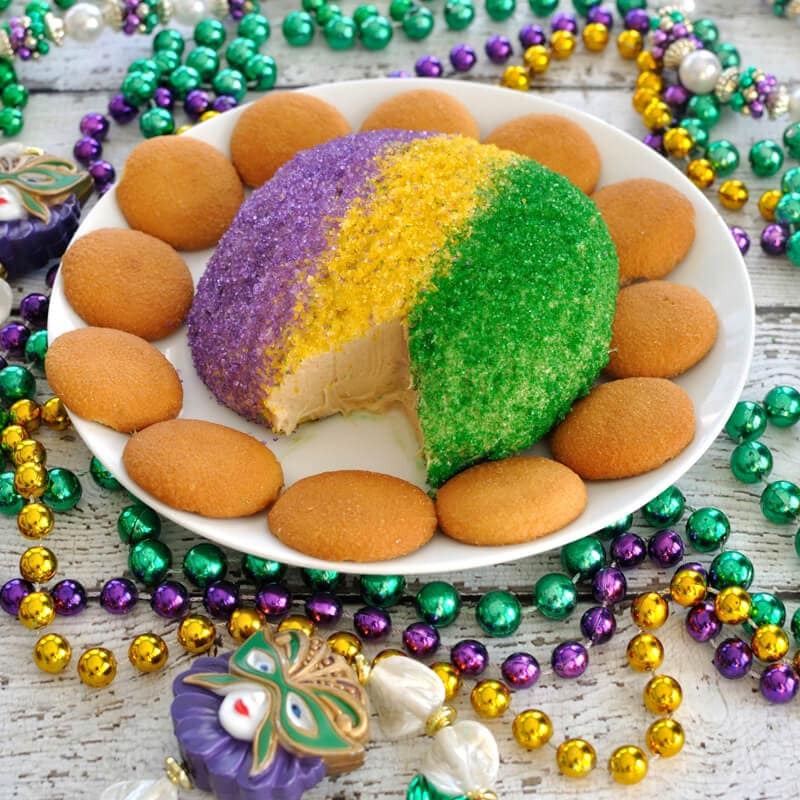 With Mardi Gras in full swing in New Orleans and Fat Tuesday coming up this week, I thought now would be the perfect time to share with you all. After the photo shoot, I will say that I did take a spoon to this one. 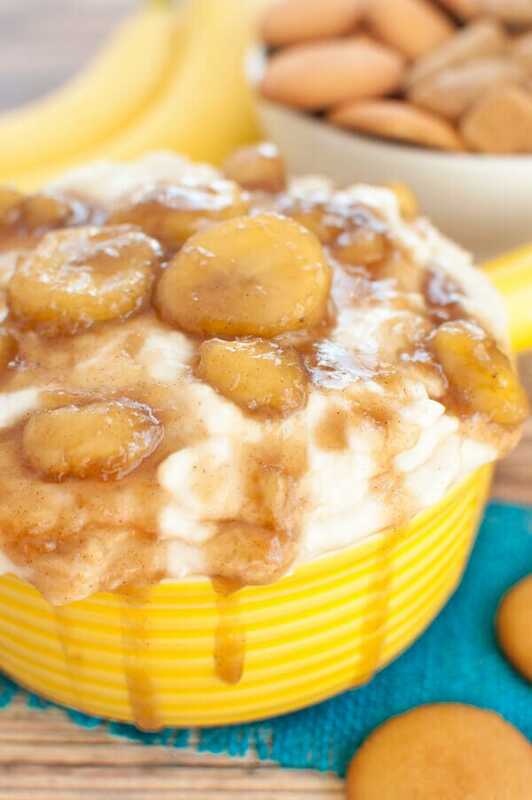 For this dip, you basically make a fluffy cream cheese dip and a bananas foster sauce and then combine them. You do need to make sure that the cooked sauce is fully cooled before mixing in or your dip will become more of a soup. 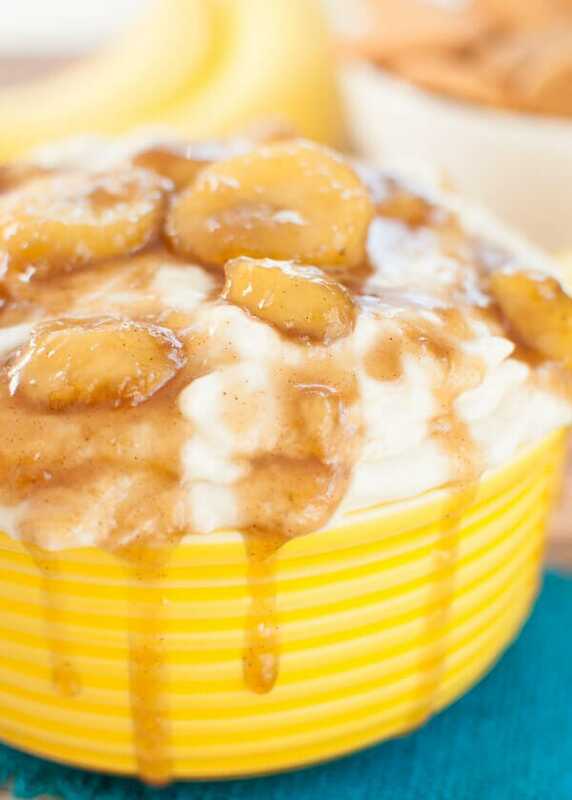 Easy dessert dip spiked with a rum bananas foster sauce! 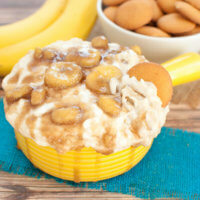 This Bananas Foster Cheesecake Dip makes a great adult treat for a party or Mardi Gras. Once melted, add the brown sugar and cinnamon. Whisk until combined. 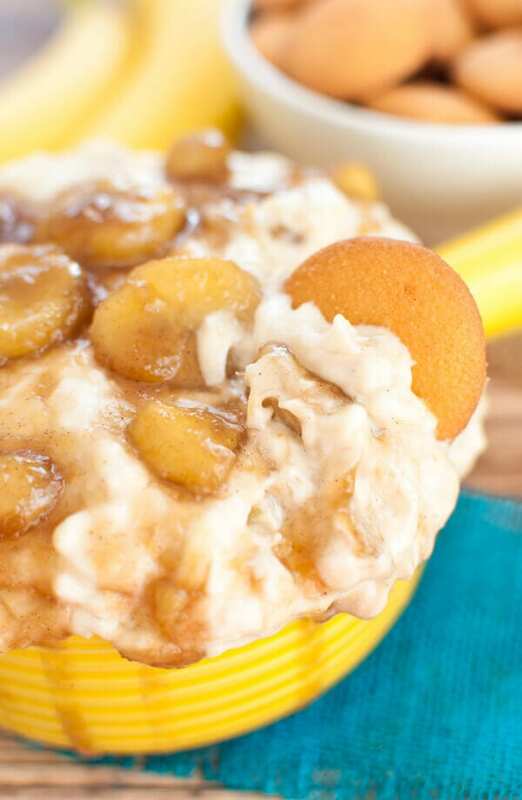 Mix in the diced bananas and cook until slightly softened and browned. Turn heat to low. Carefully add rum and simmer for a couple of minutes. Using a mixer on medium speed, beat the cream cheese until smooth. Mix in the powdered sugar until well combined. Once cooled, reserve about 1/4 cup of sauce Gently fold the remaining bananas foster sauce into the cream cheese mixture. Fold whipped cream in until just combined. Be careful not to over mix. Top with remaining sauce. 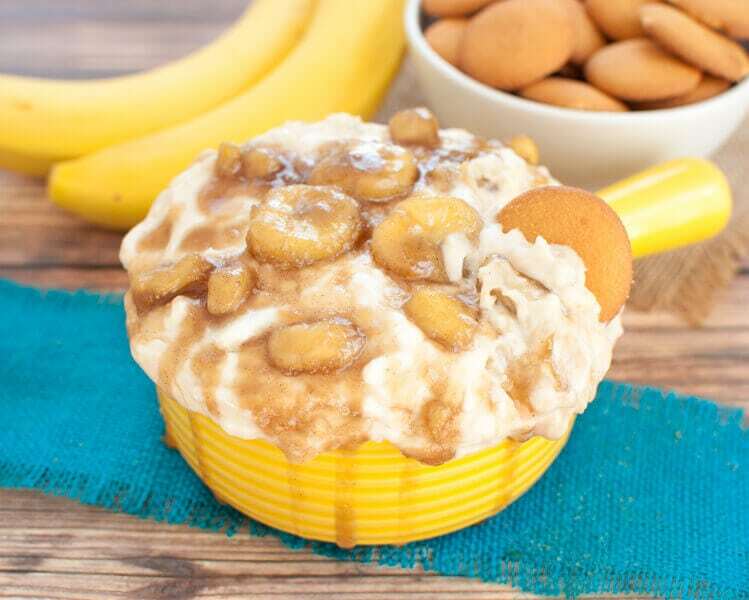 Serve this Bananas Foster Cheesecake Dip with vanilla wafers or graham crackers.